The quiet Â¾ acre cul-de-sac is a perfect setting for this Colony Woods home with its stately brick exterior and warm inviting interior. Thoughtfully designed for easy living, complements include main floor office, sun room, upstairs bonus room/5th bedroom, finished basement w/kitchen and full bath. The family room features floor-to-ceiling fireplace, cathedral ceiling, handsome woodwork/wood beams, custom bookcases, wet bar. Granite countertops and stainless appliances update the kitchen. The backyard is a peaceful retreat with inground pool, patio, deck. EXTRA GARAGES! Both a 2-car attached and a 2-car detached garage! The neighborhood is ideally located within walking distance to schools, shopping, rail trail, and downtown Village area. Directions:From Oak ST, head North on Ford RD past the 2nd roundabout (Mulberry) continuing north. Turn right on Camden DR, then right on Redding CT.
SchoolsClick map icons below to view information for schools near 235 Redding Court Zionsville, IN 46077. Home for sale at 235 Redding Court Zionsville, IN 46077. Description: The property at 235 Redding Court Zionsville, IN 46077 in Boone county with the BLC / MLS 21617552 is currently listed for $532,500 and has been on this site for 66 days. 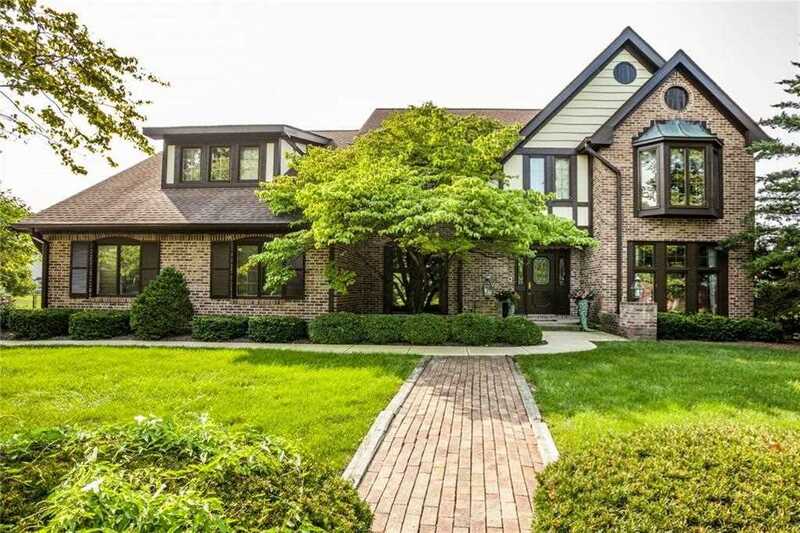 You are viewing the MIBOR listing details of the property for sale at 235 Redding Court Zionsville, IN 46077, which features 4 bedrooms and 4 bathrooms, and is approximately 5128 sq.ft. in size.